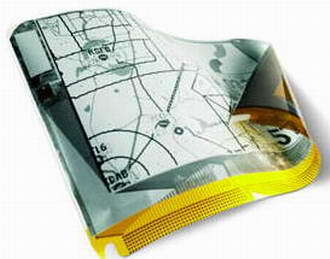 The Philips Readius is the first prototype of a rollable display electronic document reader (e-reader). It is based on Philips' Polymer Vision’s PV-QML5 rollable display reference design. The Readius pocket electronic document reader is the first device with a display that unrolls to a greater size than the compact form of the device. The monochrome, 5-inch QVGA (320 pixels x 240 pixels) display provides paper-like viewing with a high contrast ratio for reading-intensive applications, with four gray levels. The display should be suitable for reading text, graphics, and electronic maps. The display consumes little power (it uses a bi-stable electrophoretic display effect from E Ink Corp.) and is easy to read, even in bright daylight. Once the user has finished reading, the display can be rolled back into the pocket-size (100 mm x 60 mm x 20 mm) device. Science fiction fans have long enjoyed thinking about very thin, easily-stored displays. See the polycarbon phone screen from Idoru, a 1986 novel by William Gibson. An example of a larger, rollable display is the poster tv from Larry Niven's 1976 novel A World Out of Time. Read an earlier story about the Philips Rollable Display and the Philips Readius E-Reader. Thanks to an alert reader for the tip on this story.